The audience of about 100 people sat in rapt attention in Hall Two at Alhamra Arts Council on Wednesday as Fakir Syed Aijazuddin, former principal of Aitchison College, told a tale of three brothers and their experiences at Maharaja Ranjit Singh’s court. 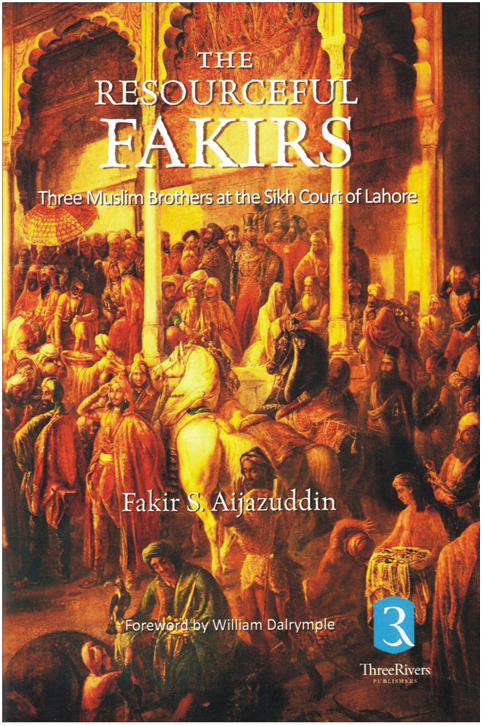 The talk came at the launch of Aijazuddin’s book, The Resourceful Fakirs – Three Muslim Brothers at the Sikh court of Lahore. The book details the lives of Aijazuddin’s own ancestors Fakir Azizuddin, Fakir Imamuddin and Fakir Nuruddin who served at the court of Maharaja Ranjit Singh in various capacities. The audience were regaled with tales of grandeur of the darbar of Maharaja Ranjit Singh and the personalities gracing it. Aijazuddin went on to highlight details of the reign of Maharaja Ranjit Singh – the founder of the Sikh darbar in the Punjab during the 19th century. Lahore was captured in 1799 and became the capital of Singh’s kingdom and yet, Aijazuddin says, recognition for the ruler came too slow. Aijazuddin said the Fakirs were originally hakims by profession. Aijazuddin delved into intricate details about the internal battles over the throne and shared anecdotes about the Koh-i-Noor diamond and foreign visitors gracing the Maharaja’s courts. The Sikh empire in the Punjab fizzled out due to internal friction and was formally taken over by the British in 1849, he said. “And yet through this period, the three Fakir brothers remained an integral part of the Sikh empire,” said Aijazuddin. “They are now buried side by side in the old city of Lahore…much like the way they had stood in their life,” he said. Aijazuddin also exhibited visuals of significant artefacts of the time including the Roznaamcha, a 650-page daily diary in Persian and an alarm clock triggered by gun-powder. Concluding his narration Aijazuddin asked how many people among the audience were from his clan. When several people responded in affirmative, he asked “So how many of you wish you were Fakirs?” Begum Jahanara Salimuddin, oldest living member of the Fakir family, and Aijazuddin’s aunt also spoke about the traditions and history of the Fakir family. She thanked Aijazuddin for recording their family’s history through his book. She said the title ‘Fakir’ had been chosen out of wisdom. “If we were to be blessed with material wealth, we would bow in humility because of our name,” she said. Published in The Express Tribune, January 31st, 2014.